This Anchor Home Collection is made of bamboo wood - a naturally replenishing grass and one of the world's most renewable resources. In addition to being made of bamboo, these items have unique designs and multi-functional use. 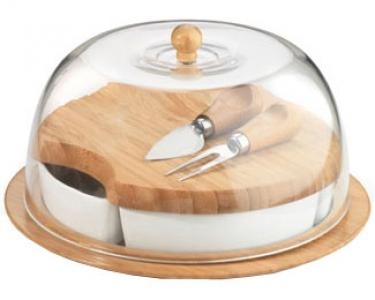 This 10-Piece Entertaining Set includes a 4-section server, cutting board and cheese utensils all covered with a dome.